Volunteer Opportunities for Every Book Lover! 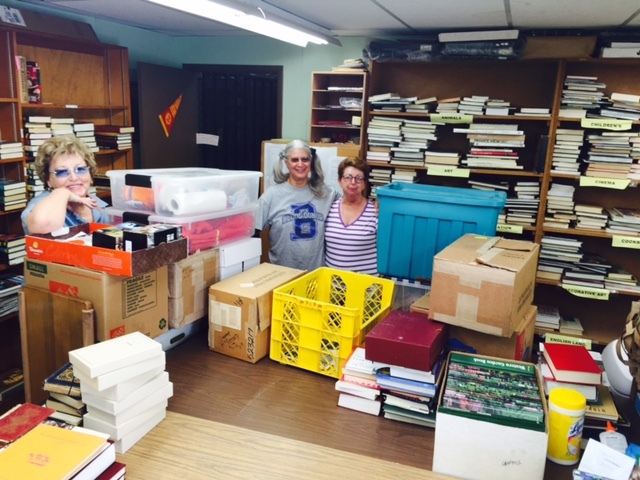 Volunteer in our book room where we process books by pricing, sorting and boxing them before a sale. Volunteer at our book sales by setting up and packing up a sale, being a cashier or a book stocker. Volunteer at our author events by helping with silent auction, centerpieces, programs, etc. Volunteer as photo-journalist by taking photos and posting to social media. Volunteer for a rewarding experience and opportunity to meet new Friends.